Mad Cow Theatre is just hinting at what will make up its 15th season, which will start out in the two current theater spaces on Magnolia Avenue and move, in January 2012, to 54 W. Church St. 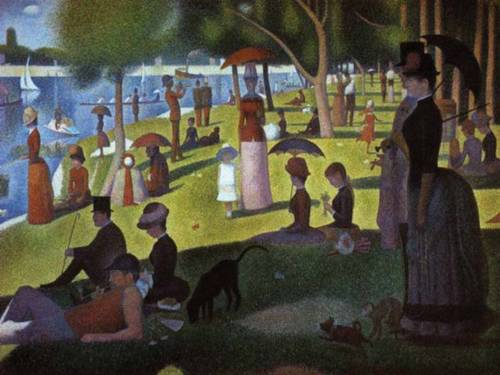 But they’ve opened up about one thing, and it’s a biggie: The musical opening the new theater spaces, from Jan. 27 to Feb. 19, 2012, is Stephen Sondheim and James Lapine’s Sunday in the Park With George. It’s a stunner, and as far as I can remember it’s never been staged in Central Florida. So put it on your calendar now. Sept. 23-Oct. 16: A new dramatic comedy (in Stage Right). Oct. 14-Nov. 20: A rousing contemporary musical (in Stage Left). Jan. 27-Feb. 19: Sunday in the Park With George, in what they’re calling the Arena Series at 54 W. Church St.
March 9-April 1, a classic drama, in what’s being called the Black Box at 54 W. Church. March 30-April 22, a classic comedy, Arena Series. April 27-May 13, the 10th annual Orlando Cabaret Festival. June 8-July 8, a rock ‘n’ roll musical, Arena Series. June 22-July 15, a new play, Black Box Series. Aug. 3-26, a drama, Black Box Series. Aug. 10-Sept. 2, a memory play, Arena Series. Want to know more? So do I. In the meantime, season subscribers may renew now through the mail or at 407-297-8788. This entry was posted in 2011-2012 seasons, Cabaret, Orlando theater, Performance space, Regional theater and tagged Central Florida, james lapine, mad cow theatre, Musical theatre, Orlando Florida, stephen sondheim, Sunday in the Park with George, Theatre. Bookmark the permalink.